The Philadelphia Jr. Flyers are pleased to announce the organization’s Players of the Week for week ending January 27, 2019. The Players of the Week is a weekly feature during the 2018-19 regular season that recognizes top performing players for the Peewee, Bantam and Midget levels. Only players that are recommended by their respective teams are considered for the Players of the Week award. The Bantam Major’s only had one game this past weekend, but it was a big one: against the first place Valley Forge Minutemen. The ‘04’s won 3 – 1 behind the stellar performance of netminder Brandon Novabilski. The Collegeville, PA native stopped 36 of 37 (.972 sv%) during the upset victory. 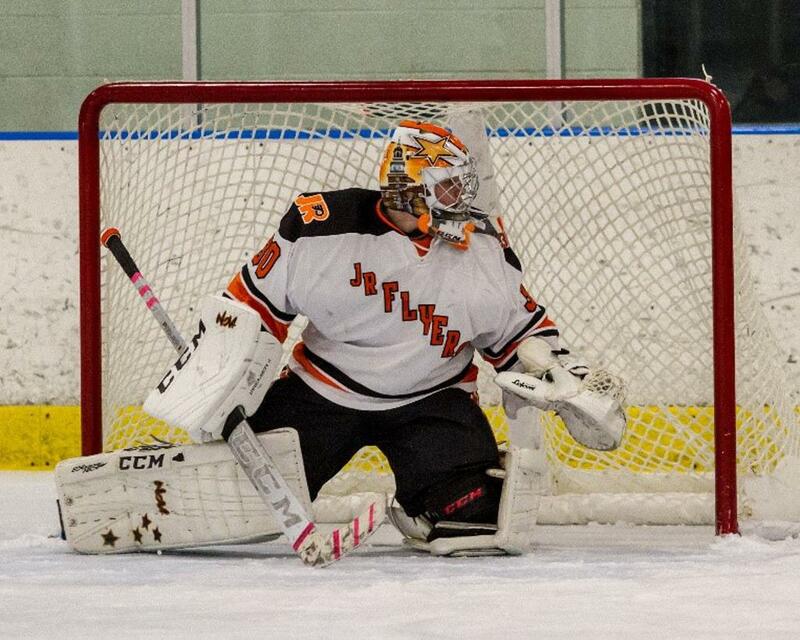 Despite being the team’s only goalie due to an injury to his partner, Novabilski has put up some outstanding numbers on the season: 2.68 goals against average and a .909 save percentage. “It was a great win for our team” stated head coach Roman Bussetti. “It was a complete team effort but Brandon stood on his head and made the save he had to so we could win – like he has done all season” said Bussetti.